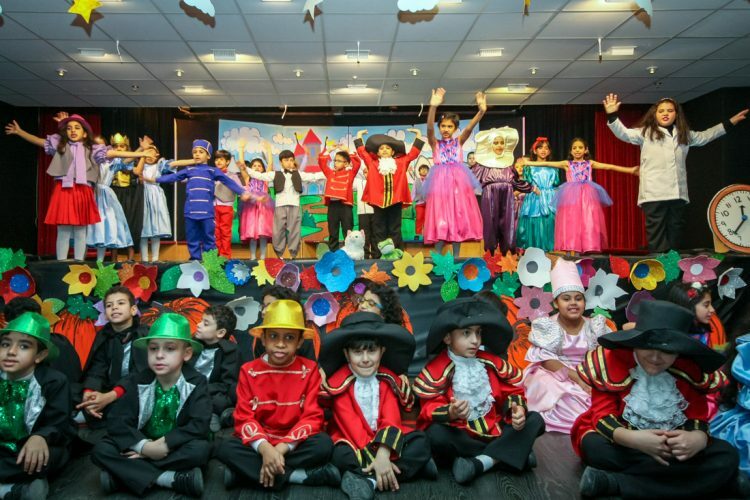 Children from Year 3 have had a great time performing their annual production. 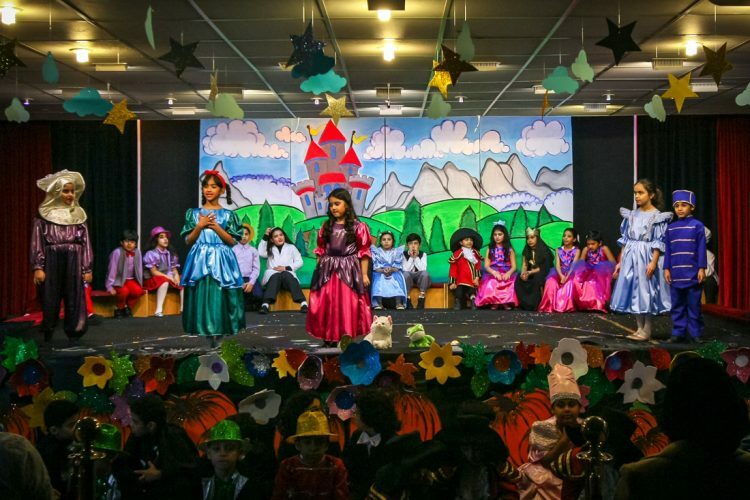 This year they took on Cinderella and Rockerfella – the re-worked, or rather, reimagined version of the fairy tale Cinderella. 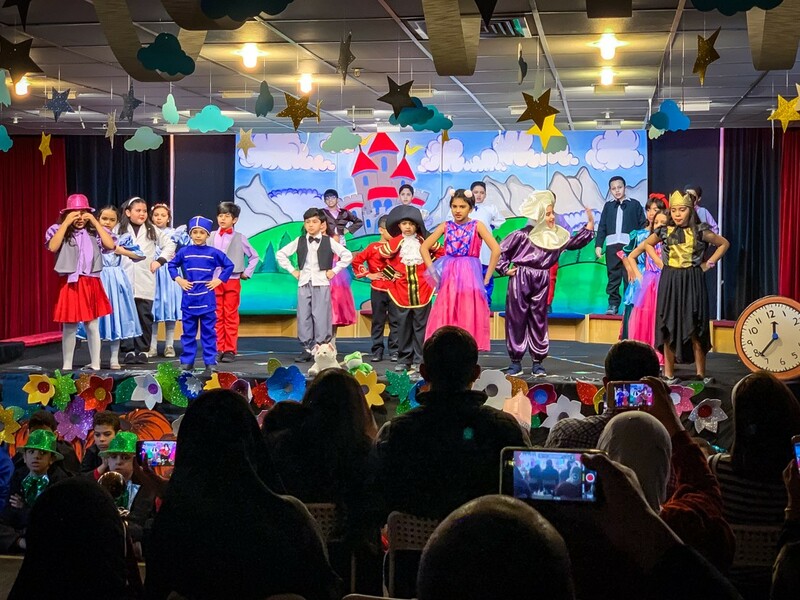 Taking place over two days, pupils from 3 Blue and 3 Green joined forces and took to the stage on the first day followed by 3 Red and 3 Yellow today – and they all performed brilliantly in front of their parents. 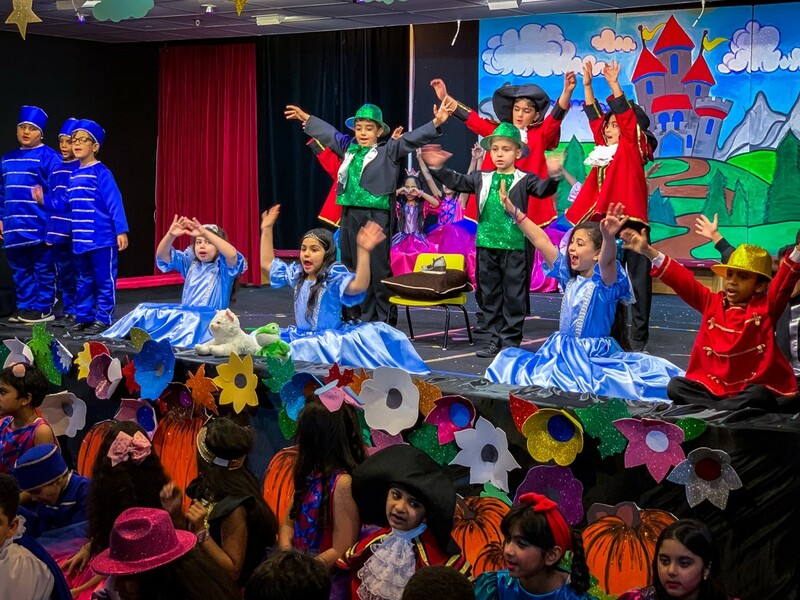 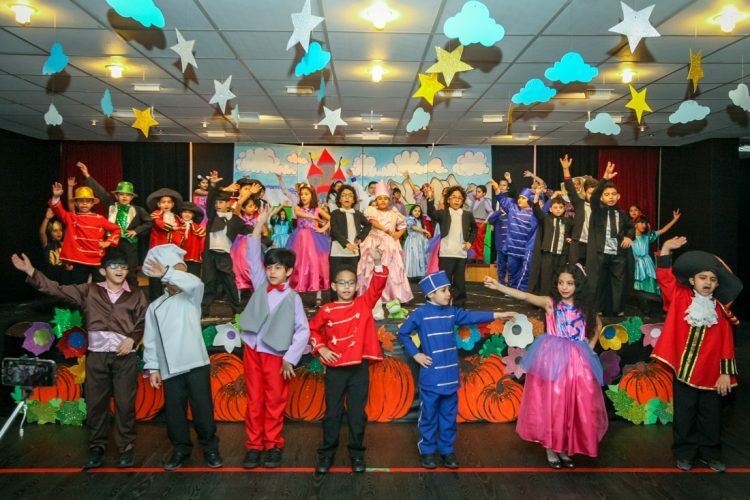 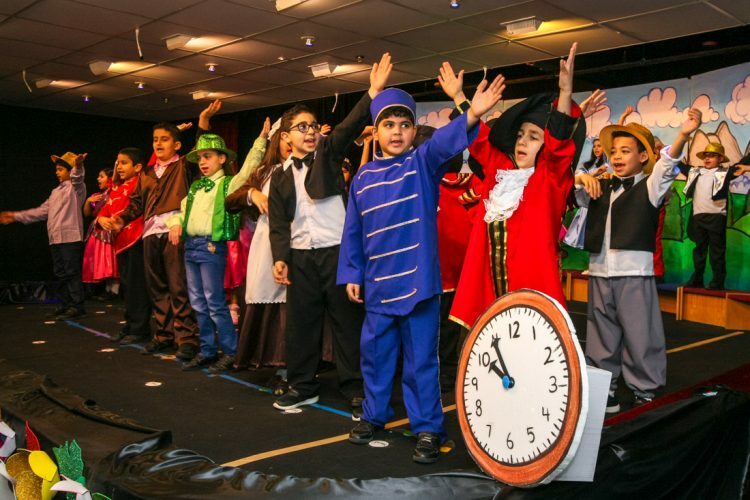 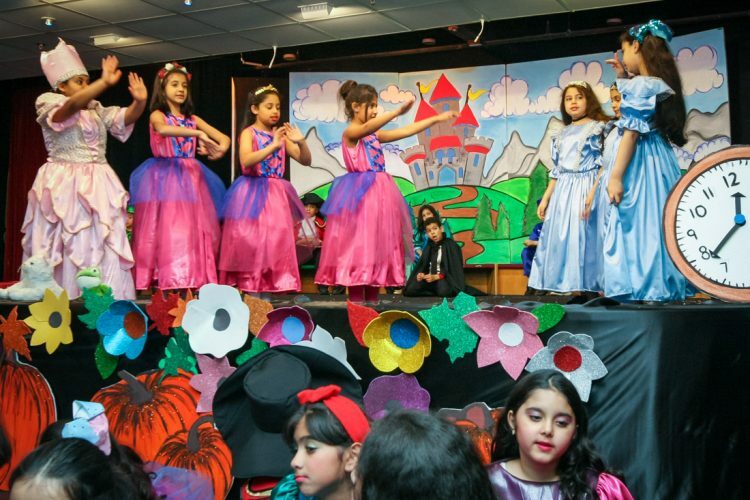 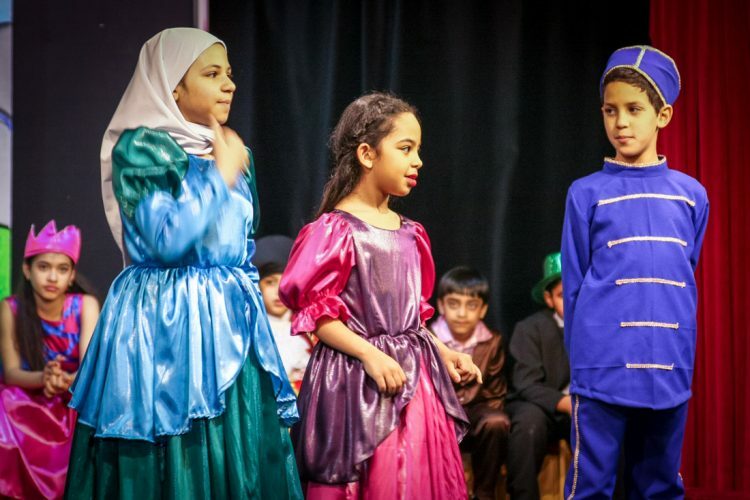 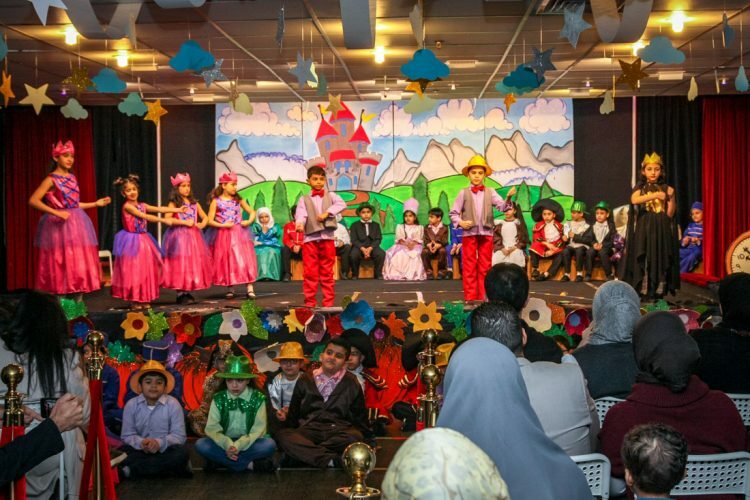 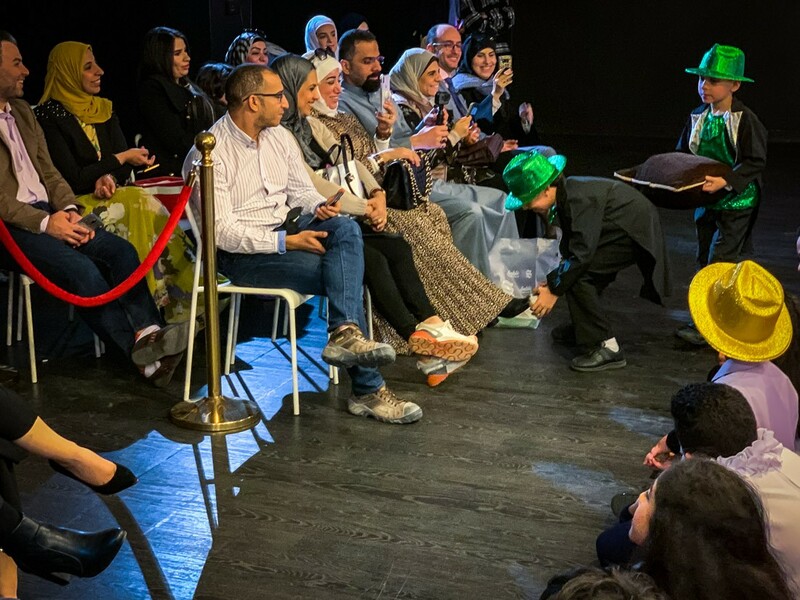 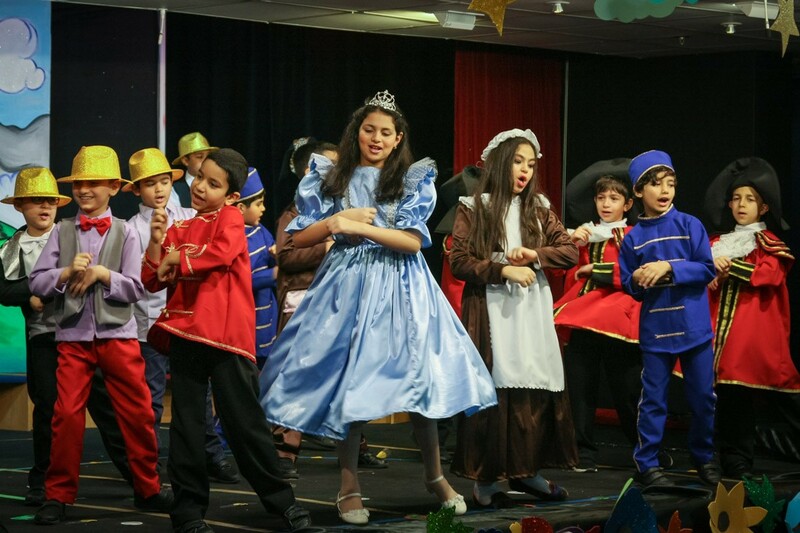 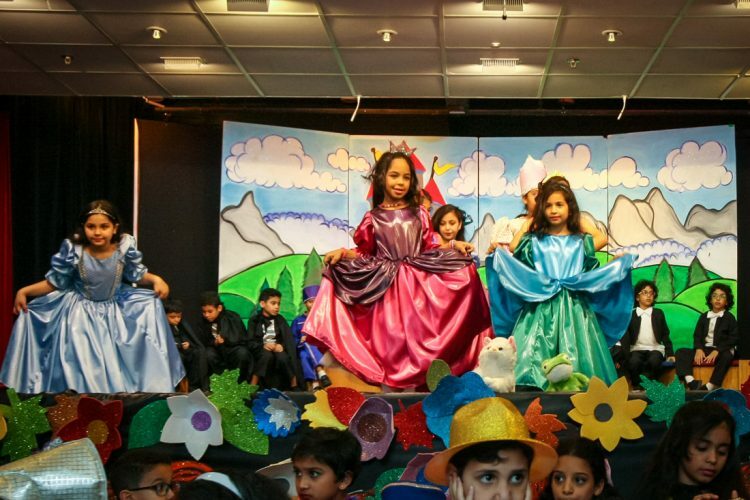 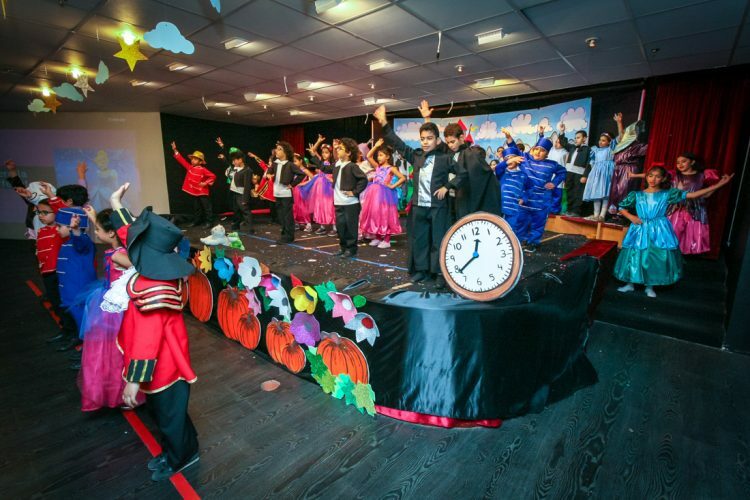 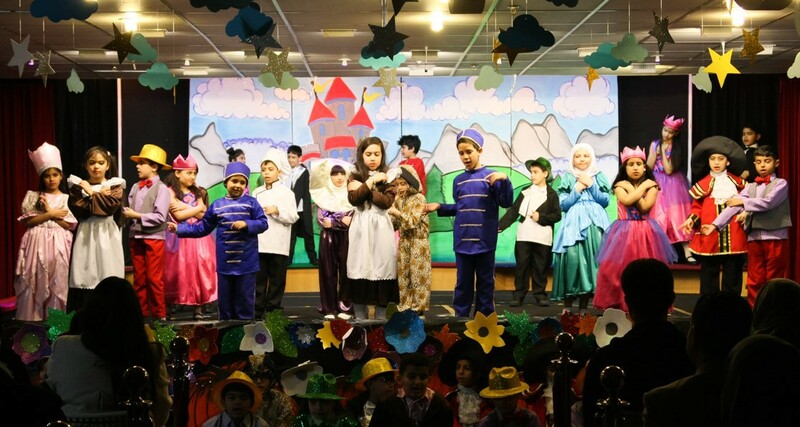 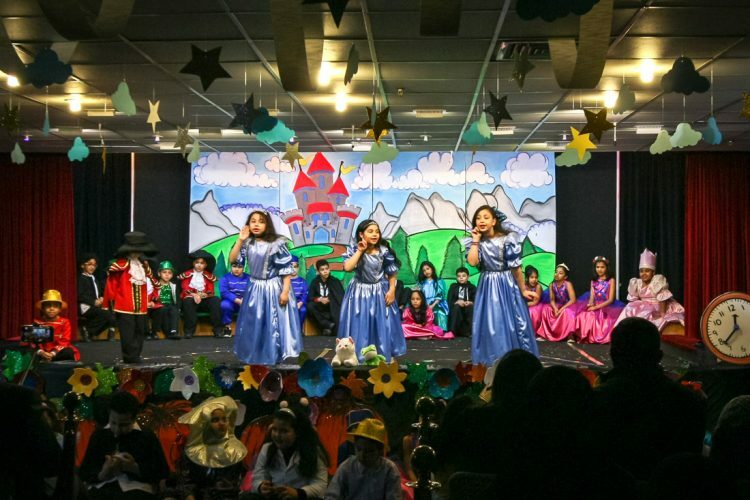 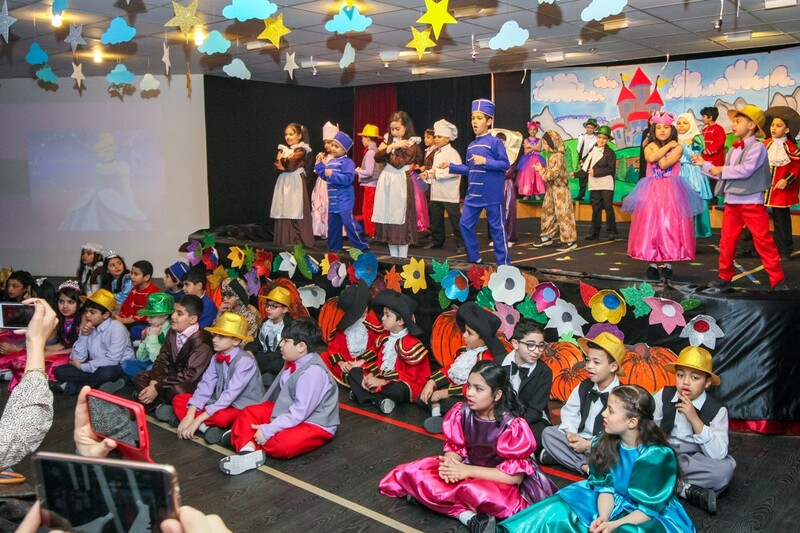 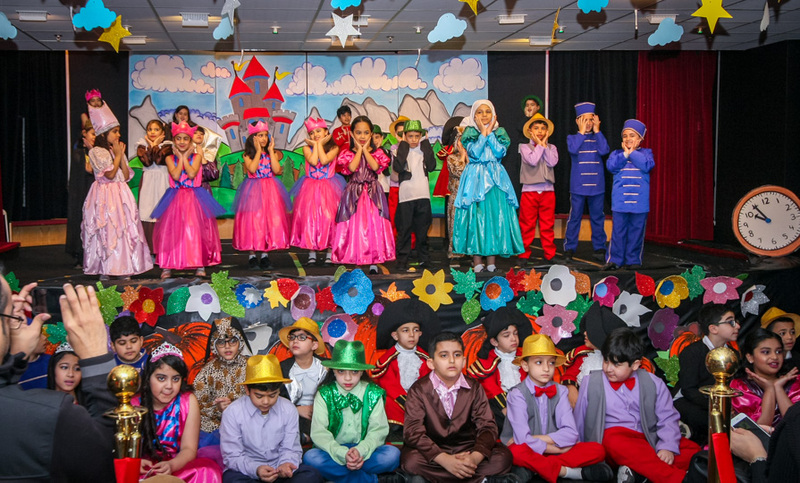 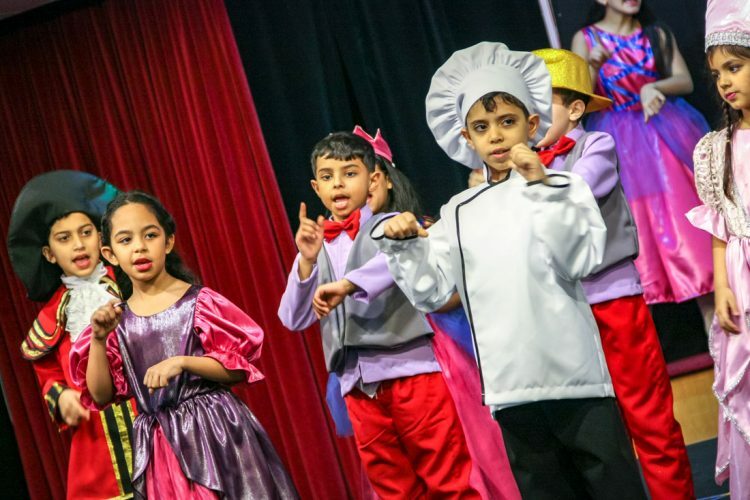 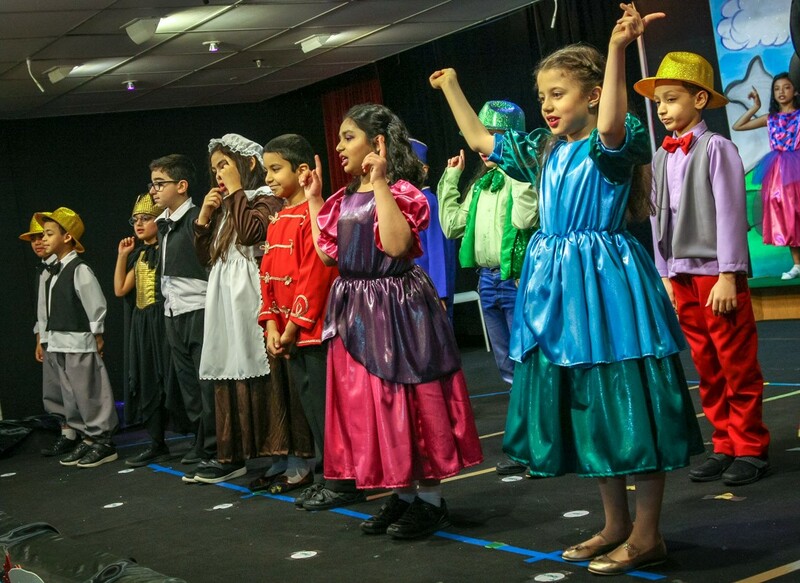 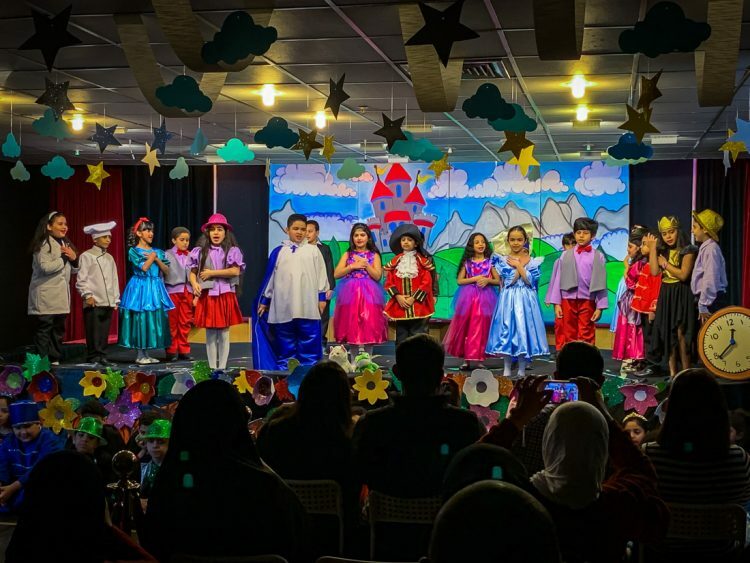 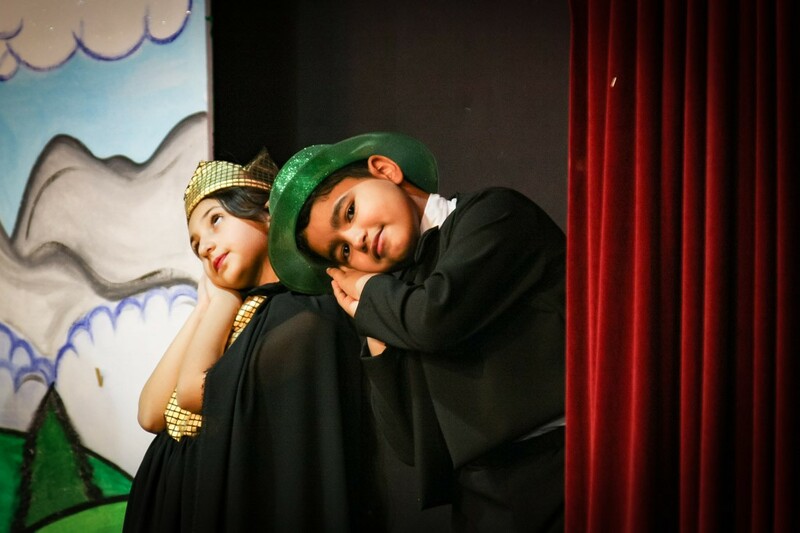 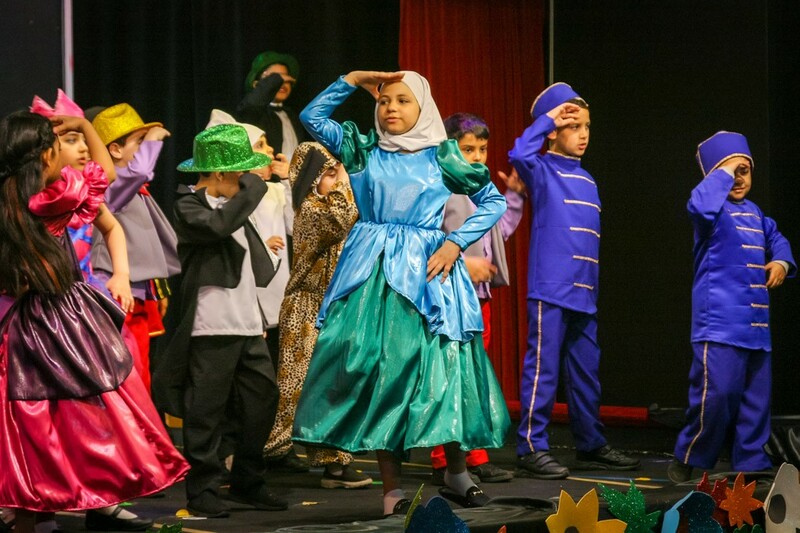 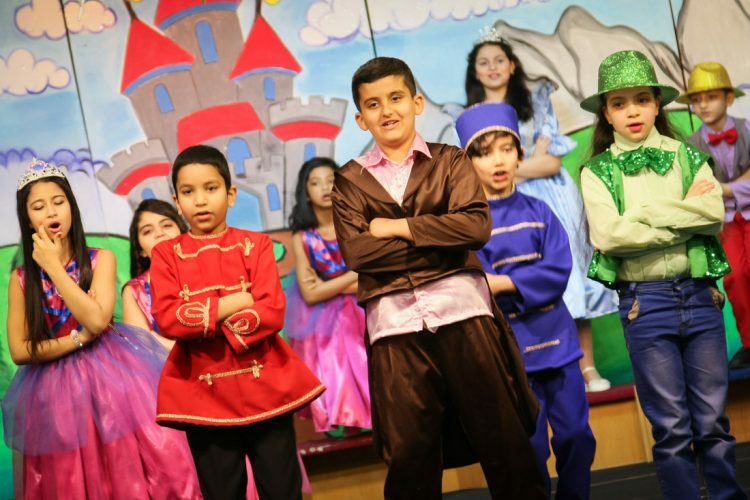 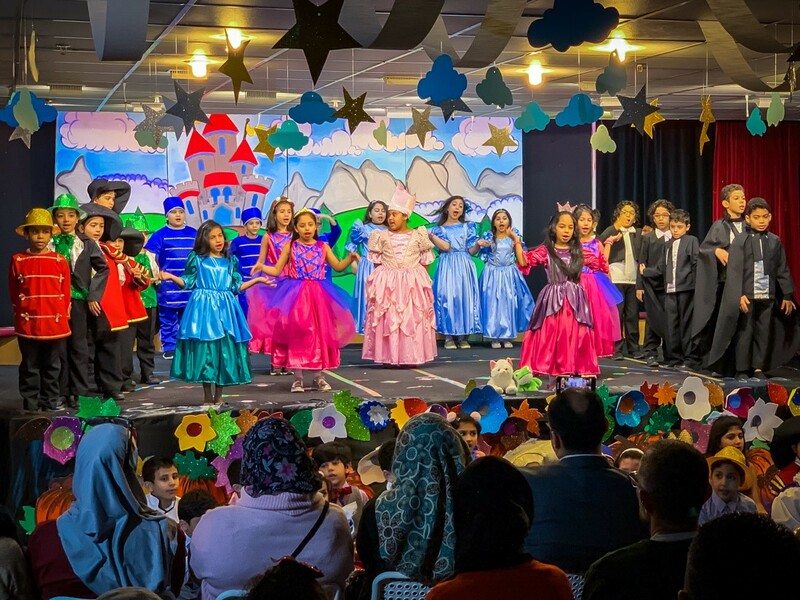 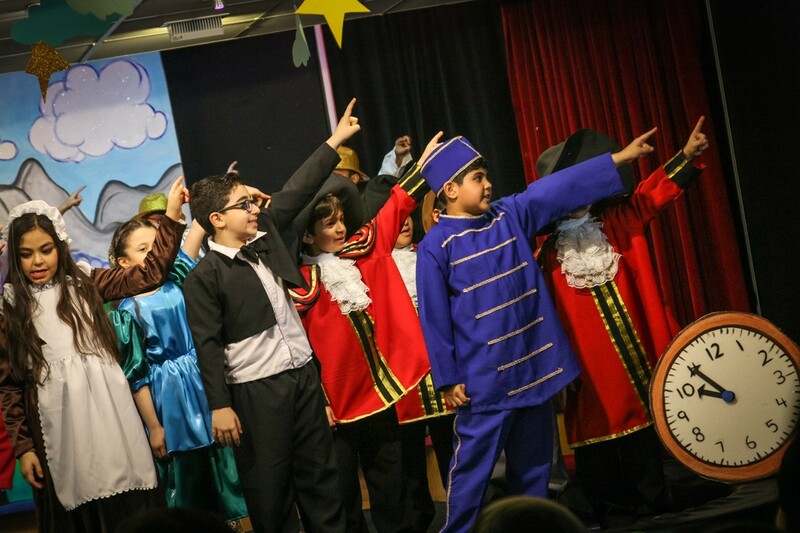 We witnessed some splendid singing, dancing and acting from everyone involved and the audience was truly entertained. 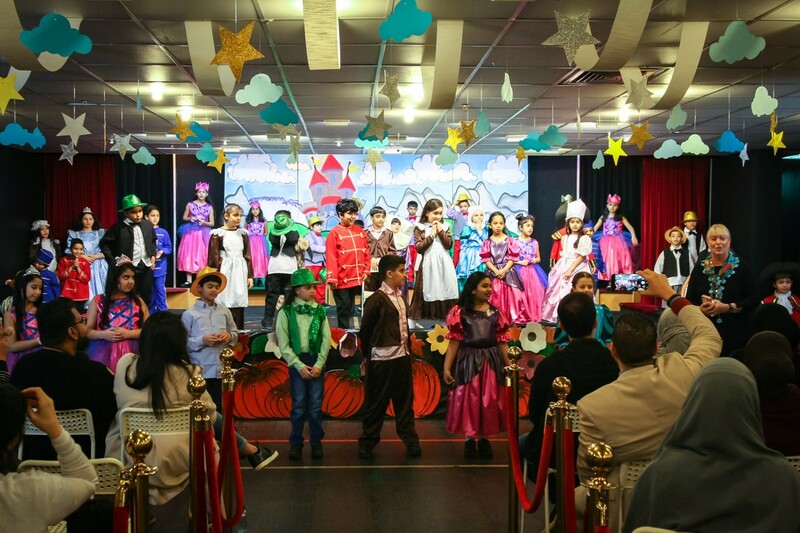 Every child’s costume looked fantastic too. Well done – the weeks of rehearsals really paid off! 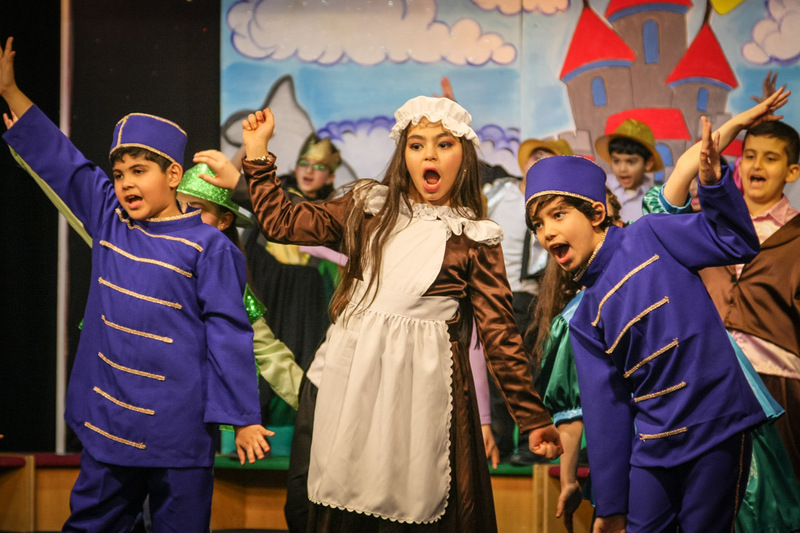 Even though Cinderella and Rockerfella is peppered with pantomime humour and modern twists on the original story – we’re talking music managers, paparazzi, nasty fairies, celebrity reporters and a musical artist formerly know as Prince Charming – the key characters remain the same. 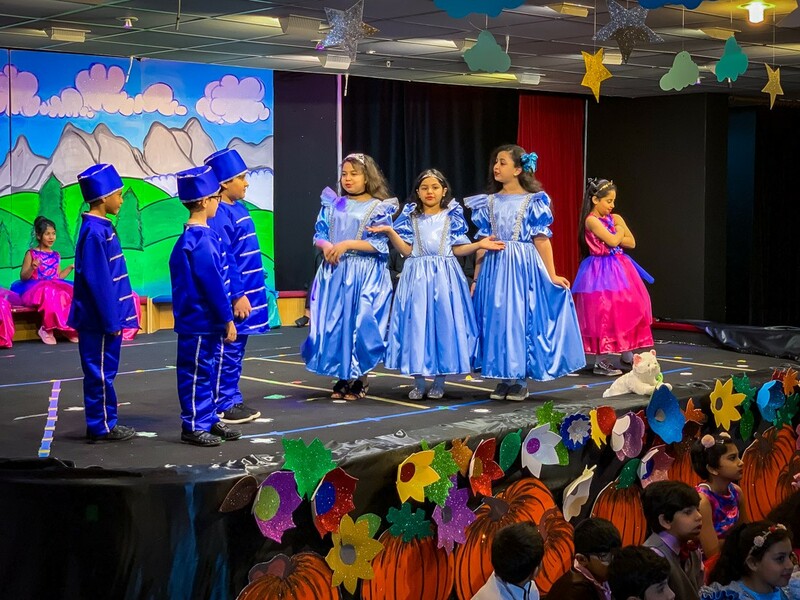 In fact, children chose this story and discussed the values they ascertained from it, which also reflected our own school values. 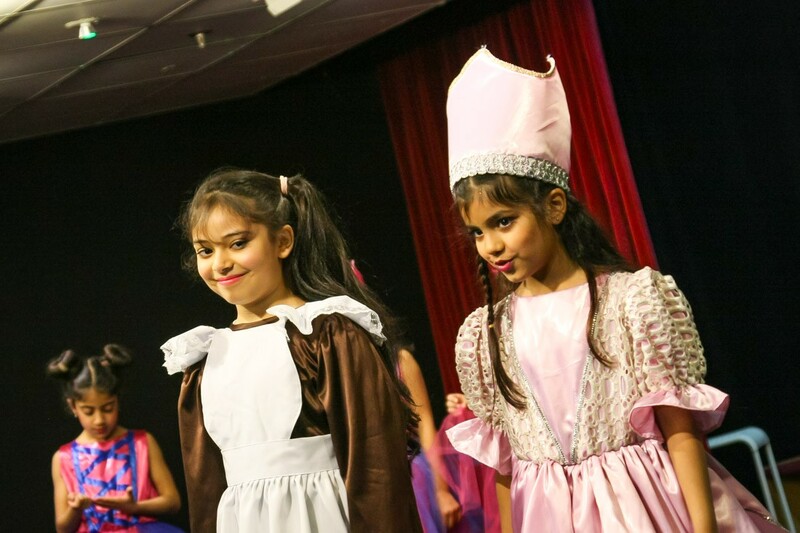 The friendship between Cinderella and Buttons for instance was a huge part of the story. 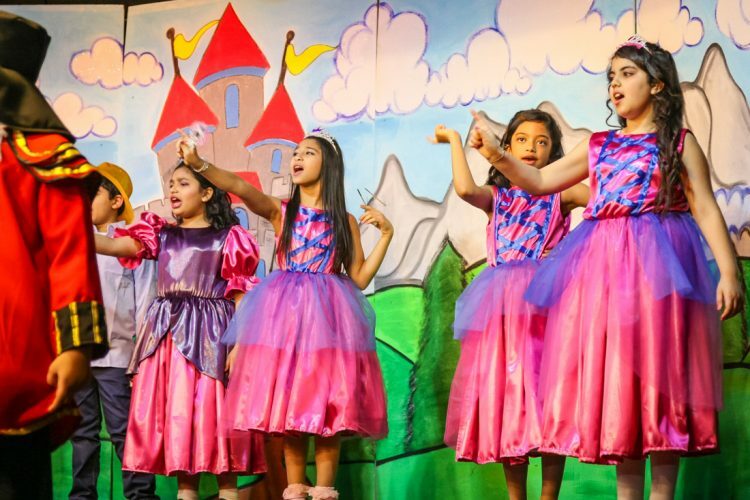 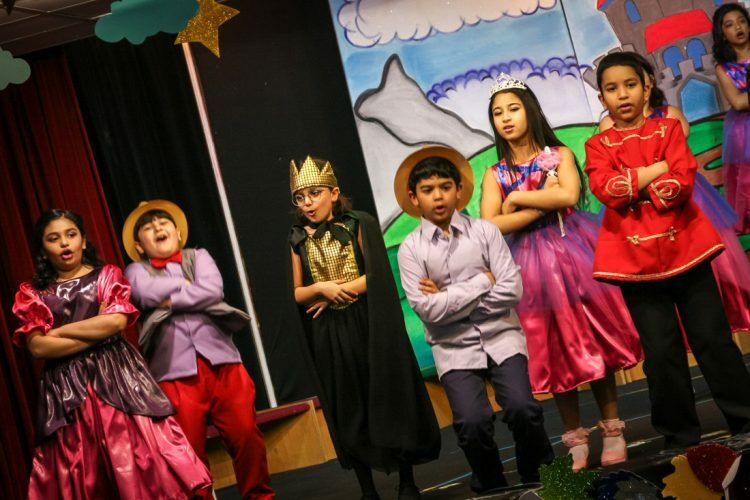 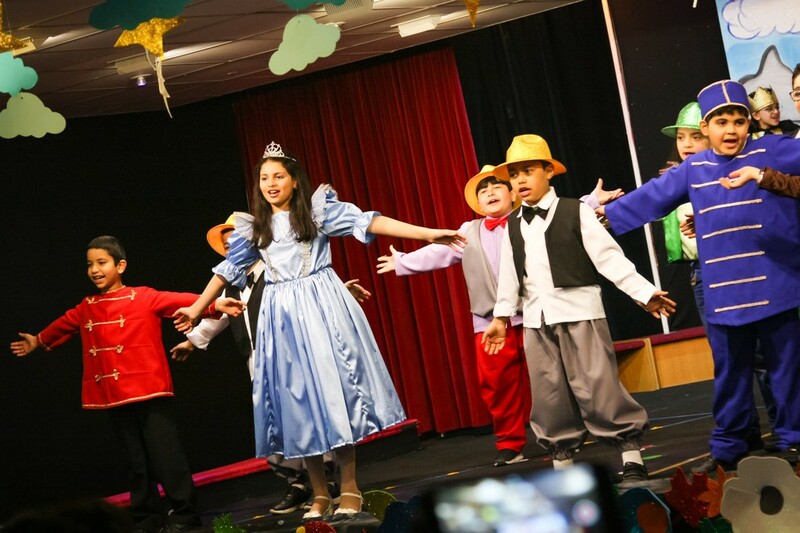 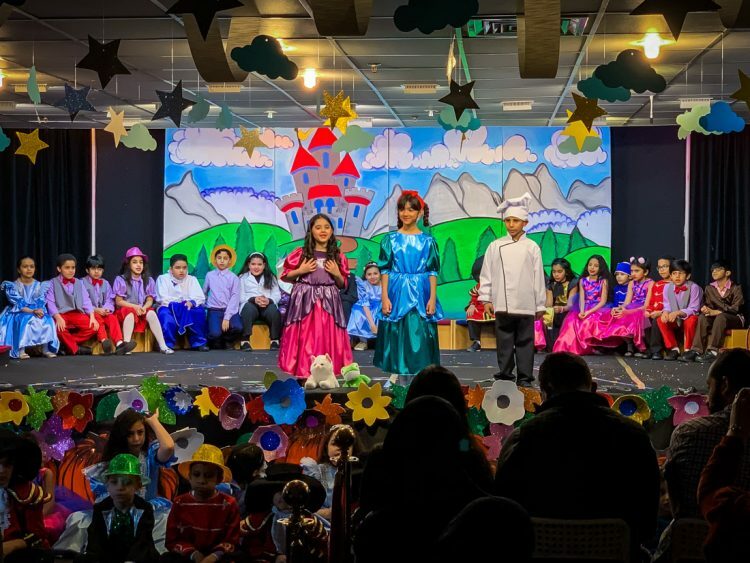 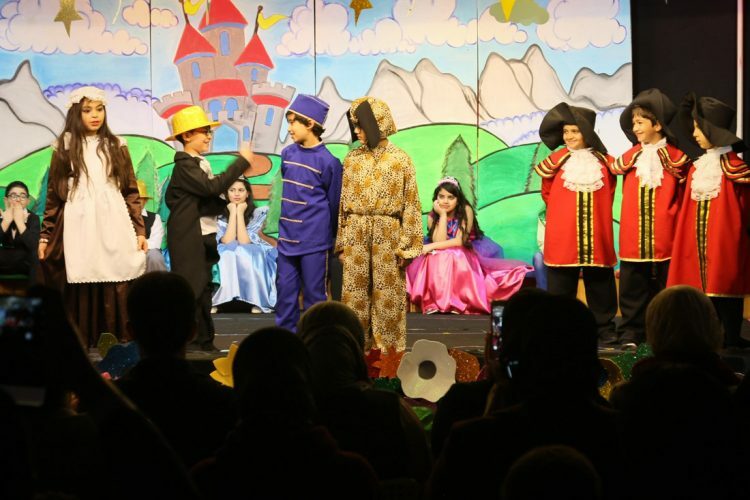 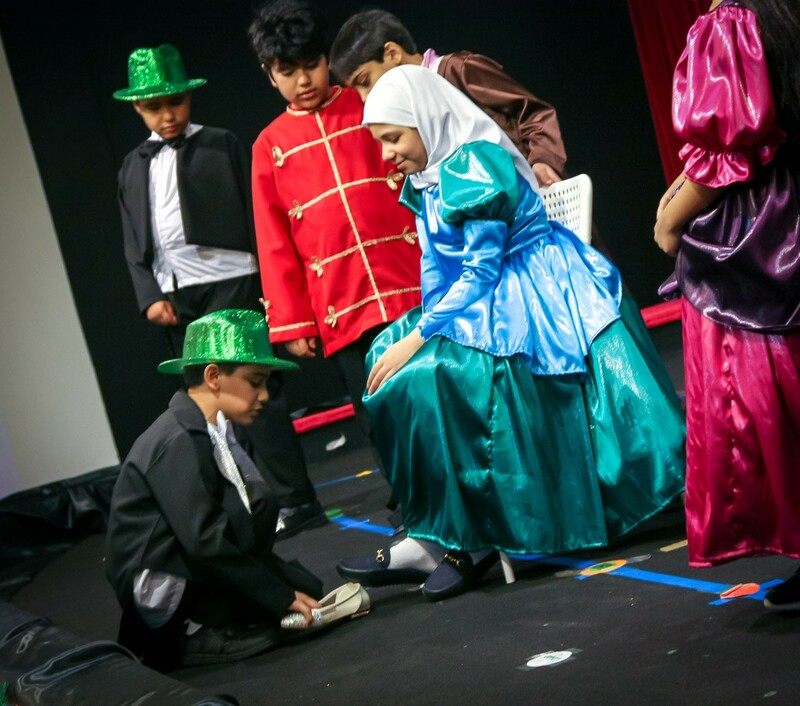 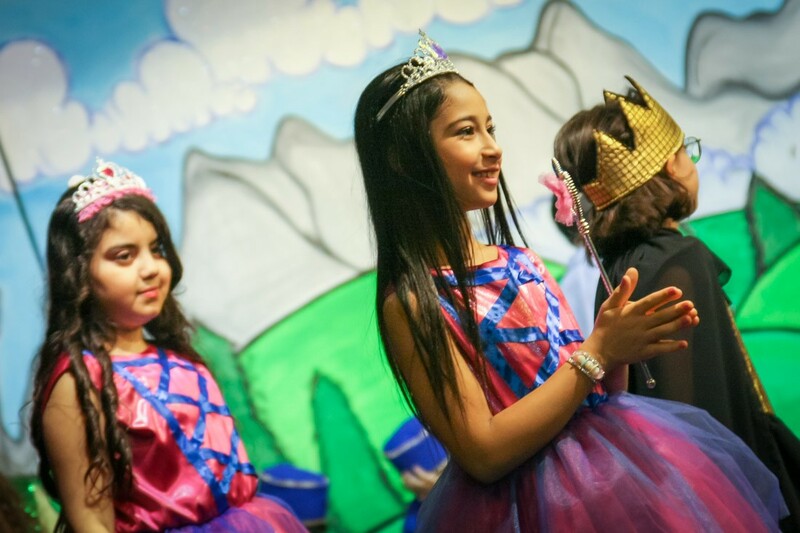 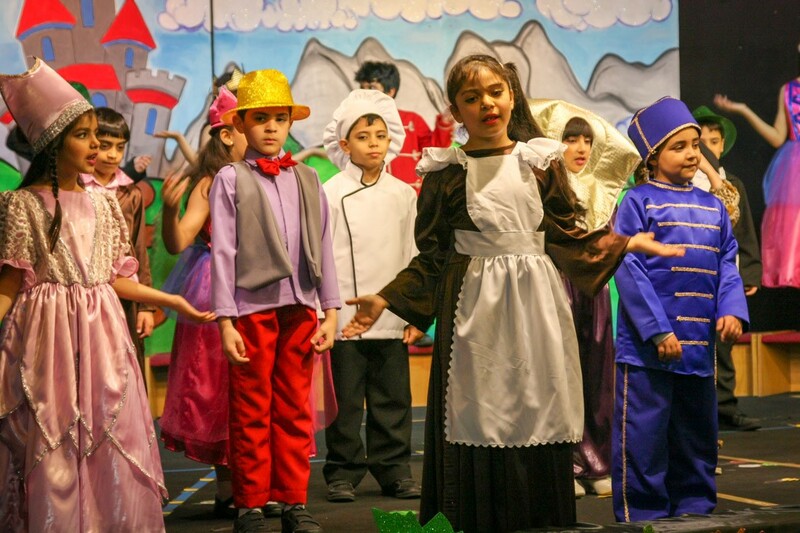 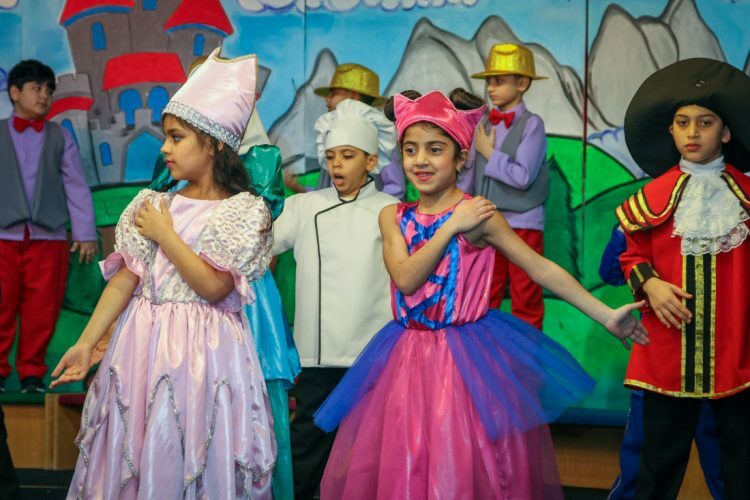 Through participating in the production the children have realised the importance of friendship, a great gift in life. The story also showed the children that at times in our lives we all have to accept help, and how having empathy for and being able to help others is a blessing. 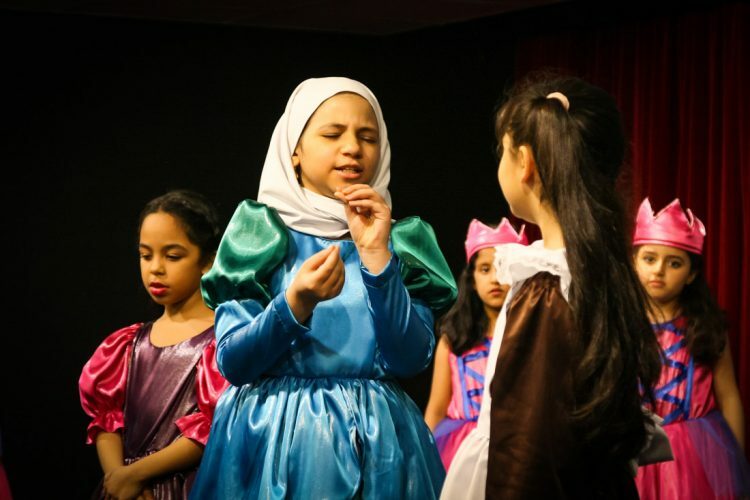 Even the way the sisters treated Cinderella was seen as bullying and made the children think: “be a buddy not a bully”. Well done Year 3 and thank you to our parents, teachers, teaching assistants and specialists for all your support. If you missed the performances, we have some photos for you below.